Ok, show of hands….how many of you love crab cakes? Now keep your hand raised if you think they’re too difficult to make in your own kitchen. Nearly everyone? That’s what I thought. I love crab cakes, but they’re just so delicate. This is my second time to ever attempt at making them. The first time I tried was about a year ago. They tasted good, but they were less like crab cakes and more like crab heaps. It was so frustrating trying to flip them over in the skillet and they just crumbled. First of all, a non-stick skillet is much more cooperative. If all you have is stainless steel, that will work, but it’s significantly more difficult. Second, don’t make your patties too big. I used a pound of crab meat both times, but the first time I made 4 large-ish patties (about like a hamburger patty). This go-round, I made 8 little patties. This makes them much lighter and they fit better on a spatula. This recipe is a simple version of crab cakes and it also includes a tartar sauce (which was great). So have no fear! 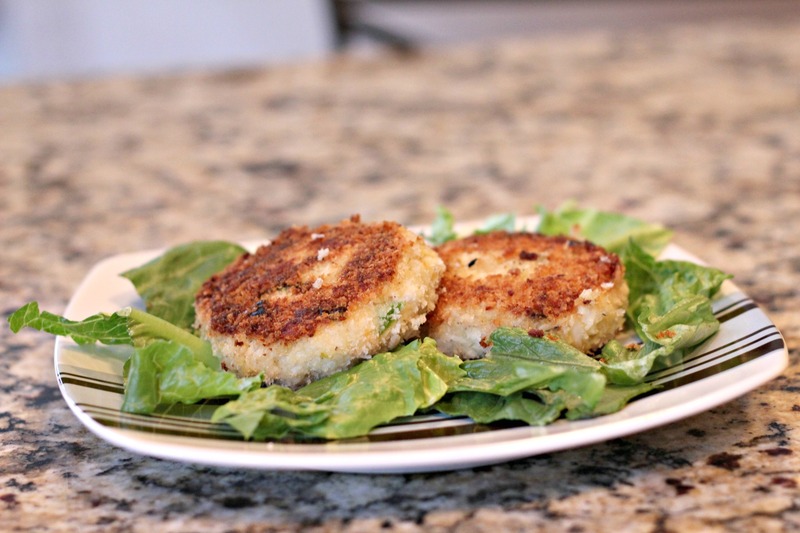 Crab cakes should be enjoyed in your own home! Not just in a seafood restaurant. Mix all tartar sauce ingredients except lemon juice and red pepper. Add lemon juice and red pepper to taste. Store in fridge until ready to use. To prepare crab cakes, drain crabmeat on several layers of paper towels. Place crab meat in mixing bowl. Add bell pepper, mayonnaise, pepper, onion, lemon zest and egg. Toss very gently until combined and all ingredients are well distributed. Add 1/4 cup panko and toss again. Place remaining 3/4 cup panko in a shallow dish. Heat a large skillet to medium-high heat. When hot, add a drizzle of oil to lightly coat bottom of pan. Place a few patties in the pan (spaced so that none of them touch each other) and cook for about 3 minutes. Let patty cook for a full 3 minutes before flipping. Flip patties and cook for another 3 minutes, until both sides are golden brown. Repeat with remaining crab cakes and serve with tartar sauce.